This is a super simple kettlebell workout. Like really really simple. And really a good kettlebell workout for beginners. Of course, it is still challenging and it is easy to make it more challenging by using a heavier kettlebell or lengthening intervals. Super Simple Kettlebell Workout for Beginners. Each exercise is performed consecutively for 30 seconds each. Rest as long as needed after the plank and repeat circuit. Beginners shoot 3-5 rounds and with the goal of working up to 11 rounds for 22 total minutes of work. Advanced exercises go ahead and start 11 rounds. Some tips to keep in mind. Kettlebell Overhead Hold – This is a great exercise to develop shoulder stability.Keep your shoulder down and back as if you are tucking your shoulder blade into your back pocket. 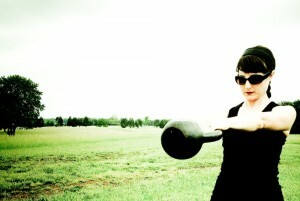 Kettlebell Swing – There is so much to say about a kettlebell swing. 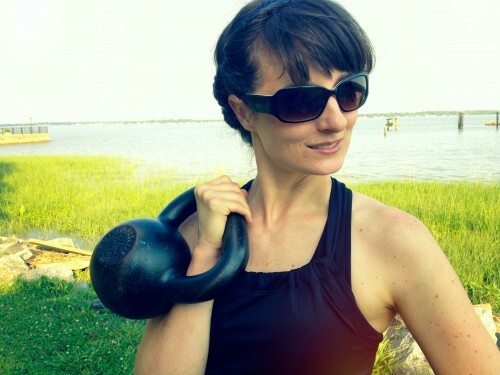 It’s the one kettlebell exercise that I see people doing incorrectly all the time. After more than three years of working with kettlebells including one year under an RKC senior instructor and passing the RKC I still have room for improvement. Here are a few tips.. Remember, it’s a hip hinge not a squat. Don’t lift the kettlebell with your arms. Instead use your glutes to drive the bell forward. If you are uncomfortable with swings swap in kettlebell deadlifts. Plank – Almost everyone knows how to do a plank. The thing to remember is to not let your hips sag towards the ground or lift them up. Keep your body in a straight line. I like to think about “zippering” my abs to my spine. Like Delaware, we didn’t give Connecticut a fair chance. 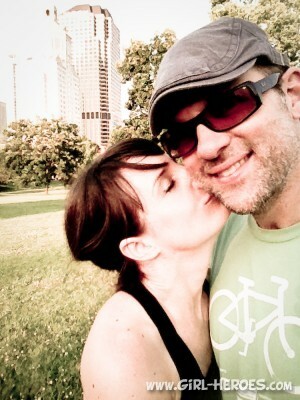 I wanted to spend more time in Connecticut, mainly because I had hoped to meet up with this amazing lady who I met at Fitbloggin’ last year, but due to prior commitments we had to move on rather quickly. I’m still sad about it. Nevertheless, we spent some time in the capitol, went to Trader Joe’s, and this simple kettlebell workout is one more workout closer toward my goal of filming a kettlebell workout in every state. So our stop in Connecticut wasn’t a total miss. I want to give a big thanks to this guy for not only supporting my crazy ideas but for encouraging them and making them happen! Anway, I know this kettlebell workout is super simple but let me know if you have any questions! Journey with our family on the road at New School Nomads as we travel fulltime in RV through the United States! 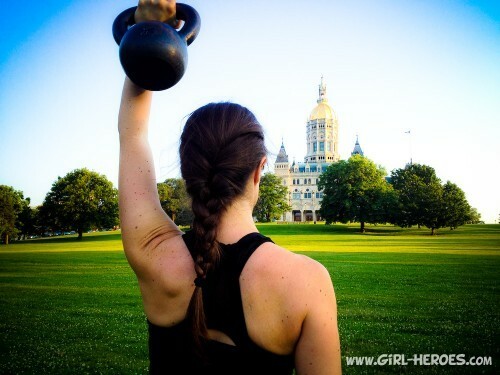 Love your kettlebell in every state idea! I was wondering what weight kettlebell you’d suggest a beginner starting with? fact excellent material in support of visitors.